This is the MERV 13 replacement filter for the Model 4400, 3310 and 2410 Aprilaire Air Cleaners. The filter can also be used in the Models 2400 and 2140, provided the Upgrade Kit, part #1413 has been installed. The filter is the heart of the air cleaner and needs to be changed once a year or when your Air Cleaner Control indicates it is time to change the filter. 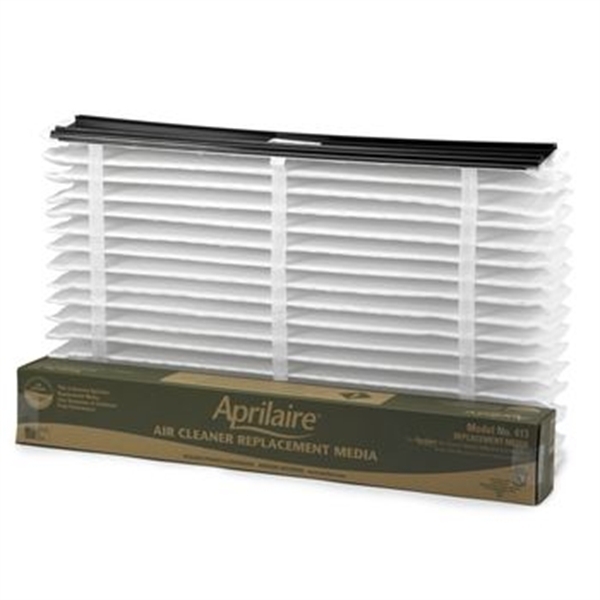 Use only genuine Aprilaire SelfSeal #413 to ensure the best performance of your air cleaner.